I’ve spent 2015 working on three of the companies I co-founded, G2O Water, G-Heat and De-Heat and filling in the time waiting for investors to complete due diligence or product design cycles to be cranked through working with a range of other disruptive and innovative businesses. But the one where I have had the most exciting time is where 3D printing meets graphene meets smart textiles at Tamicare. 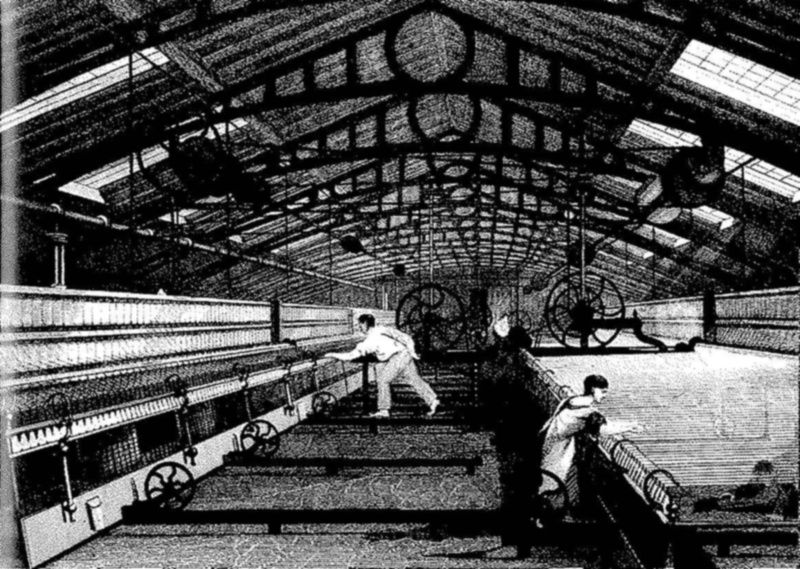 The 4th Industrial Revolution – Starting With Textiles? One of the key findings of the Forum’s 2015 Technology Tipping Points and Societal Impacts report was that by 2022 10% of people will be wearing clothes connected to the internet with 91% of respondents expected this tipping point will have occurred by 2025. But is this believable? IDTechX predicts that wearable technology will be a $70 billion in 2025, and the dominant sector will remain the healthcare sector which merges medical, fitness and wellness. I’ve been involved in smart textiles ever since my former company Cientifica organised events and wrote market research reports about it. The idea of the textile being the device is such a simple and powerful idea that has attracted attention for over a decade. Finnish Clothing+, recently acquired by Jabil Circuit developed their first heart rate sensing shirt over a decade ago, but progress is slow. While there are any number of firms manufacturing sensors and providing data analytics, integrating the sensors with the textile has always proved a stumbling block. Smart Textiles – Dumb Approach? There have been two broad approaches. The first is to create some form of conductive fibre. Last year Korea Advanced Institute of Science and Technology (KAIST) announced that they had coated Nickel on to woven polyester fabrics using the electroless deposition method. This approach is said to have enabled them to have good drapability, enhancing the wearability of such structures but even weaving this into a garment and mixing conductive with traditional fibres still just creates an expensive conductive fabric with no added functionality. The second approach has been to add electronics to the surface, either by printing, depositing or simply gluing them. The North Face introduced their CONNECTEDwear line in 2009 where for a 200-300%% premium you could control your iPod by pressing buttons on the jacket sleeves. Smart in this case meant some touch sensors and a wire running up the inside of the sleeve, something that was mercifully rendered obsolete by controls on the headphone cord and more latterly by voice control. The bottom line for wearables or smart textiles seems to be that they are crude, clunky, expensive and usually not very wearable. Until now. What excited me about Tamicare was their 3D printing (or more correctly additive manufacturing) approach to textiles. Not only did this allow the creation of a single item from start to finish in a single process, but by building up the material layer by layer it allows for the incorporation of all kinds of different materials and structures – sensors, circuits, strain gauges, piezo energy harvesters, graphene to add stiffness, the possibilities are endless. Because the Cosyflex process uses flocking (the addition of short textile fibres) on both sides and materials like latex in the middle layers the wearables devices can be made to feel like wool, cotton, or even silk, while offering elasticity in all directions. But the really significant thing about Tamicare is the speed that they can create. Most 3D printing techniques take hours to create a single piece, while Tamicare’s Cosyflex process cuts that to 3 seconds for a typical garment. Three seconds a garment translates to 3 million pieces a year from a production line that I could just about squeeze in my office. For a sportswear manufacturer that single production line compares with a current production process requiring hundreds of steps, huge amounts of manual labour and the headache of having a global supply chain to manage. That explains why brands and materials suppliers are currently beating a path to Manchester. WEF’s piece on the 4th Industrial revolution also notes that “The Spinning Jenny of the first industrial revolution didn’t just make it faster and easier to produce textile products – it fundamentally altered the Western world’s social landscape, from one dominated by small, rural craftsmen to one of factory workers and machine manufacture.” High volume 3D Printing is now creating a reverse shift, with small high density high volume production facilities able to create highly customised products for local markets, and produce them in those markets. It’s not quite a return to small rural craftsmen, but Tamicare’s technology will unquestionably have a societal as well as an economic impact. I suspect we’ll be hearing a lot more about Tamicare in 2016.